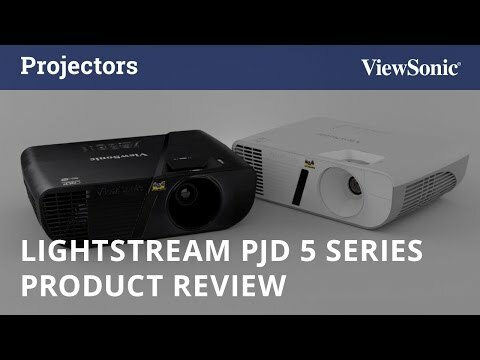 The ViewSonic LightStream PJD5155 projector features 3300 ANSI Lumens, native SVGA 800 x 600 resolution, and intuitive, user-friendly design. Exclusive SuperColor™ technology offers a wider color range for true-to-life image projection, while SonicExpert™ technology delivers improved sound quality. The PJD5155 also features extensive connectivity including HDMI, 2 x VGA, Composite Video, S-Video, 1 x VGA output, Audio in/out, Mini USB and RS232. An energy-saving DynamicEco® feature reduces power consumption by up to 70%, and extends the lamp life by up to 10,000 hours. With advanced audiovisual features, and flexible connectivity options, the PJD5155 is ideal for use in education and small business environments.